With the installation of an AM-BOSS access ladder, and some economically priced chipboard flooring, all easily fixed, your storage problems are solved! 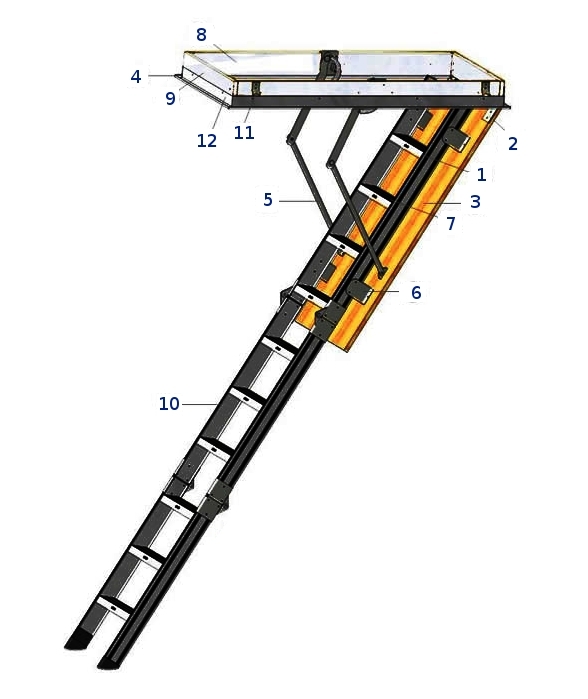 AM-BOSS domestic access ladders gives you easy access to your attic or roof space without throwing anything out. AM-BOSS access ladders are so easy and convenient to use. Beautifully manufactured, it comes with a draft seal, counter balancing, adjustable aluminium ladder with the treads being welded into the stiles, and fitted fixing clips so you don't have to hold the unit up whilst installation. Manufactured in Aluminium with flat non-slip treads welded into the stiles, this ladder comes fully assembled and includes a neat fitted, metal architrave making installation a breeze. Clearance "A" can be reduced by using a 4-Section ladder. Clearance "B" can be reduced by making ladder stand at 70 degrees. Maximum clearance measurements are taken with ladder standing at 60 degrees.